Setting the time is as easy as talking. Tell“ Monica ”your time and you're all done. No more messing around with switches, buttons, or complicated setup procedures just to set your time. You can choose to help sleep music with (white noise)、 (brown noise)、 (bird sounds)、(seawave sounds) 、(frog sounds), also set the sleep for 10~90 minutes with the AutoOff timer. If you're having difficulty sleeping, our AI Clock can help by playing White Noise or Brown Noise loops. People who sleep hard are more stressed when they see the clock hands or numbers on the alarm clock then it is more difficult to fall asleep. This is the world's first alarm clock without clock hands or numbers which is with White Noise and Brown Noise to help sleep. 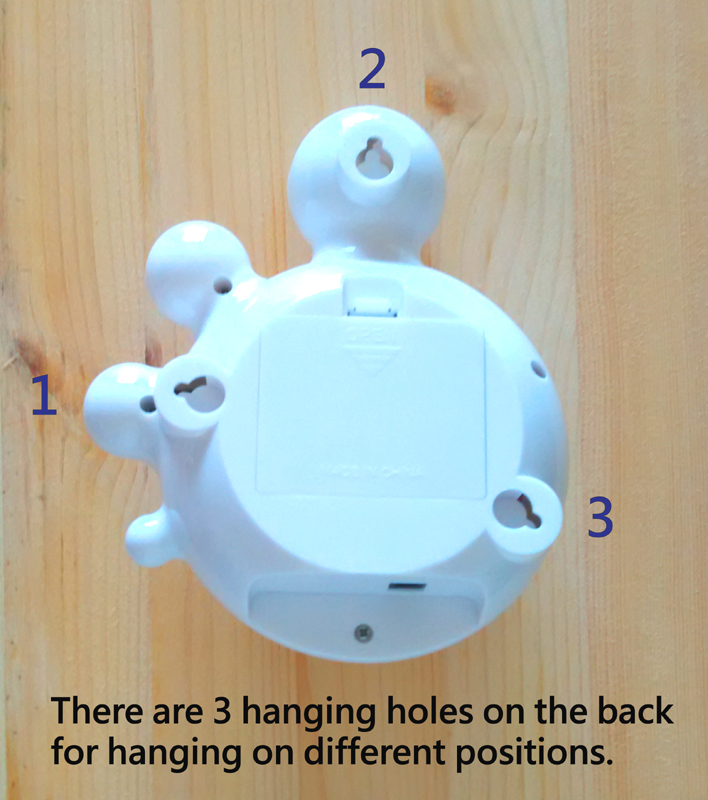 This device has 3 hanging holes on the back, you can hang it on different positions, become a wall decoration personality and focus highlights. * Diameter 77mm 3-watt speaker with excellent sound quality. * There are 3 hanging holes on the back for hanging on different positions.